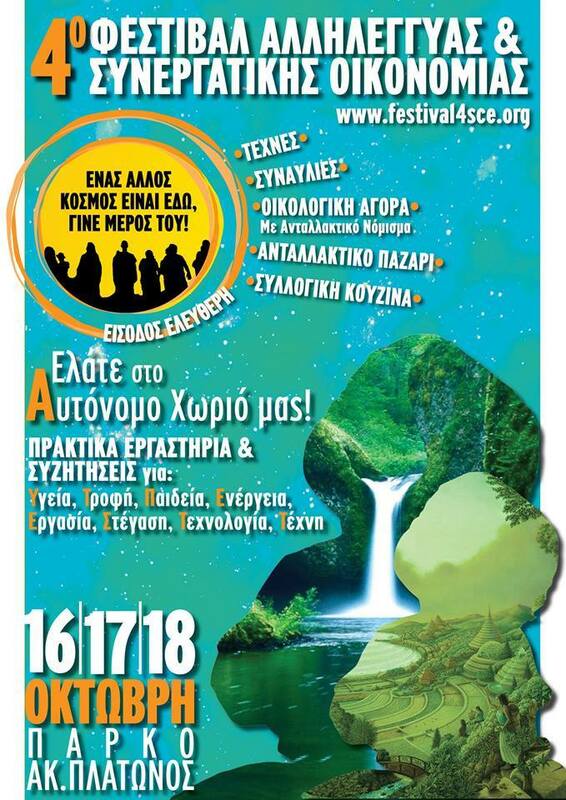 Members of various solidarity networks, cooperative initiatives and innovative structures in Greece organise, for the fourth time in a row, the Festival for Solidarity & Cooperative Economy. We want to open more to society and to shout even louder our slogan “ Another world is real » and necessary more than ever. A world based on creativity, self-sufficiency, sustainability and solidarity. People offering work ( villagers ) will be rewarded with free food for their services . We want to unite and together make it happen.